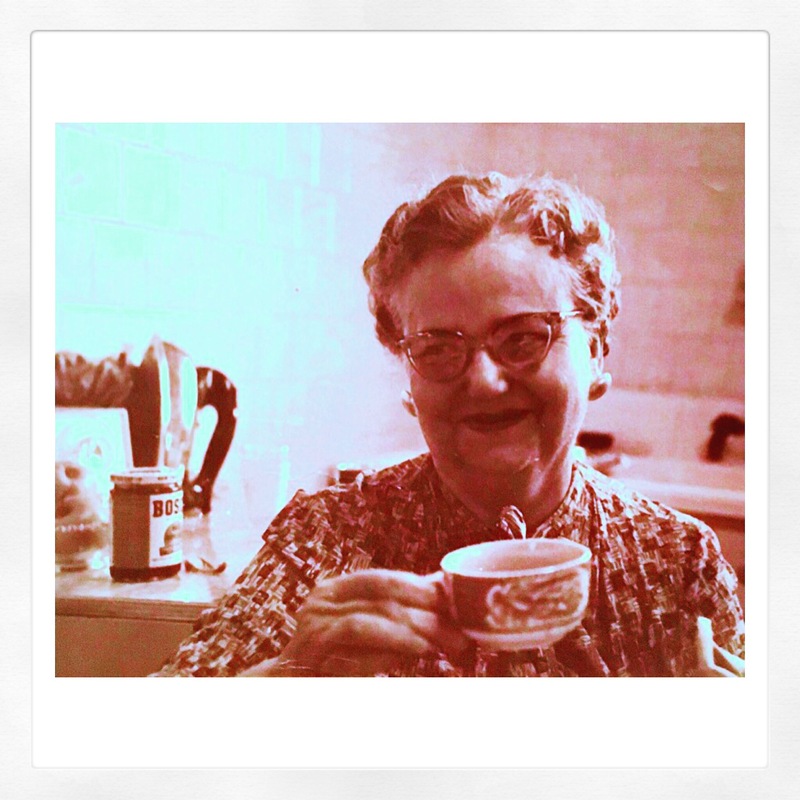 Raising a cup of strong coffee to my warm, cuddly grandmother Alice. A daughter of French-Canadian immigrants who spoke marvelous French, a widow with 4 young girls in her late 30s, she prevailed and lived to a ripe old age. Always with a twinkle in her eyes. Nostalgia like this: imagining the smell of that percolated coffee & a fresh deep-fried batch of home-made donuts set in the middle of the her kitchen table. Dealing out cards for another round of gin rummy, I can taste the melting powdered sugar still. Cramped in the tiny south side apartment, we felt adventurous and cocooned in a place frozen by time and tradition. Simpler times when there were fewer distractions remind me of the life’s truest pleasures & indulgences. And these, stacked and pancaked little happy vignettes, remind me of the plush wonderful stuff that that just living brings to us. This weekend, this week, this month, this year! Jet speed rockets past us all, threatening hearth, home & humanity and so I grip warmly to my human soulfulness and keep my hope alive, my fighting spirit fueled and my resolve darting, charging ahead.